At Nourison Rugs, “We look at the market to see what other companies are doing – and then we do something different.” So says Alex Peykar, one of four brothers who founded Nourison Rug Company in 1980. The company, named after the family patriarch, began its life as Nouri & Sons, a company whose intention was to always have the right rug in the right color whenever their retailers needed it. Twenty five years later, Nourison Rugs is the worldwide leader in handmade rugs of all types and styles. Their products range from traditional designs and museum quality hand woven Oriental rugs to hand-finished designs created on power looms. Nourison Rugs are beautiful, functional and offer excellent craftsmanship in every price, style and construction category. The Nourison name has become synonymous with quality and beauty in traditional, contemporary, modern and nouveau styles. 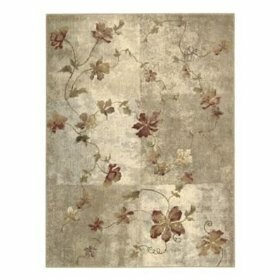 Nourison Rugs offers over 60 collections of carpets and rugs in 6 different style categories.